Certified copies of the marriage certificate are easy to get, but a bit more involved with just a notarization. Officiant Guy, a wedding officiant in Southern California, issues a California marriage license which will lead to a California marriage certificate. We understand that you have plenty to think about on your wedding day and that it’s hard to remember when we explain to you how to get your marriage license copy. The necessary steps to receive your certified copy or copies are very simple. However, the County Clerk’s Office assumes that you do not want a copy of marriage license until you ask for one. You will not receive a certified copy of your California marriage license until you specifically order it from the Los Angeles Registrar Recorder/County Clerk’s Office or whatever County Clerk’s Office that issued your marriage license. (So, for example, if you got your marriage license in Orange County but was married in Ventura County, you must go to the Orange County Clerk’s office to receive your copies of the marriage certificate.) We, of course recommend that you have Officiant Guy issue your marriage license because he will hand deliver it to the LA County Clerk’s office in person. In Los Angeles County, each certified copy of your California state marriage certificate costs $15 (as of 2015). We suggest that you purchase at least two copies of the marriage certificate so that you’ll have multiple copies to keep in separate locations. That small amount of money will save you so much frustration down the road.That way if you lose one copy of a marriage certificate you’ll have at least one more and will not have to deal with the time consuming hassle of acquiring another marriage record from Los Angeles County. 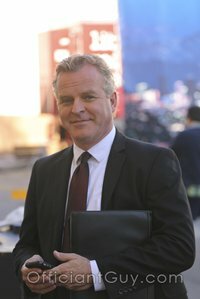 If your marriage license in California is a Confidential marriage license, such as the license that the Officiant Guy can issue, you’ll need to follow the specific instructions that you’ll receive along with the customer copy of your wedding license that your wedding officiant should give to you after the marriage license is signed. A cover letter in the form provided in the below link. (The letter is addressed to the Los Angeles County Clerk Registrar’s Office). IMPORTANT: Recent changes to the format of the Confidential Marriage License have made it more difficult to obtain your certified copies by mail so you will receive your certified copies more quickly and with less paperwork if you have your officiant file your Certified Copy request along with the Original Copy of your marriage license when he or she files it immediate after your wedding day. If you mail your request for certified copies of your Confidential Marriage License you must wait until many weeks, possibly months, after your wedding day to mail your request and you will also have to include Certificate of Identity from a Notary Public or the County Clerk in the County of Residence. We recommend, based on our experience, that you ask for 2 copies of the marriage certificate for your files. It will take 6-12 weeks to receive your requested certified copies of your marriage license, but much longer if you do not file your request for certified copies at the time of your marriage. The County of Los Angeles will expedite delivery of your certified copies only in very limited circumstances usually limited to military spouses who will soon be deployed overseas. In such cases, at least one of the spouses to the marriage must appear in person at the main Los Angeles County Clerk’s office in Norwalk to make the request and show proof of the reason that the expedited delivery is requested. Officiant Guy fills out your request for a certified copy and hand delivers the request along with the filing of your marriage license. If you failed to get certified copies along with the marriage license then click here for a form letter that you can send to receive a copy of your marriage certificate. 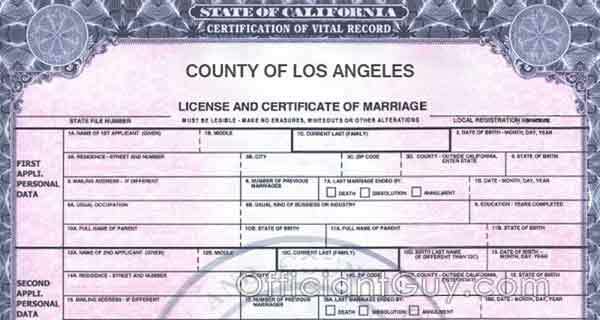 If for some reason you have neglected to order copies of the marriage certificate at the time of your wedding or if you have lost your marriage certificate copies in Los Angeles County CLICK HERE for an easy form to copy and paste into your Word program to send to the County Clerk Recorder. 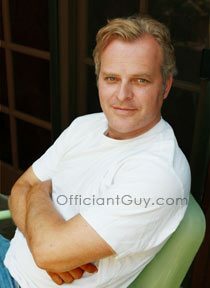 Officiant Guy, Chris Robinson, is an LA wedding officiant. He has been officiating wedding ceremonies and providing marriage licenses for over several decades. If you plan to get married throughout Southern CA give the premiere marriage officiant in Southern California a telephone call at (310) 882-5039 or (562) 547-3255 or fill out the contact form.